3. 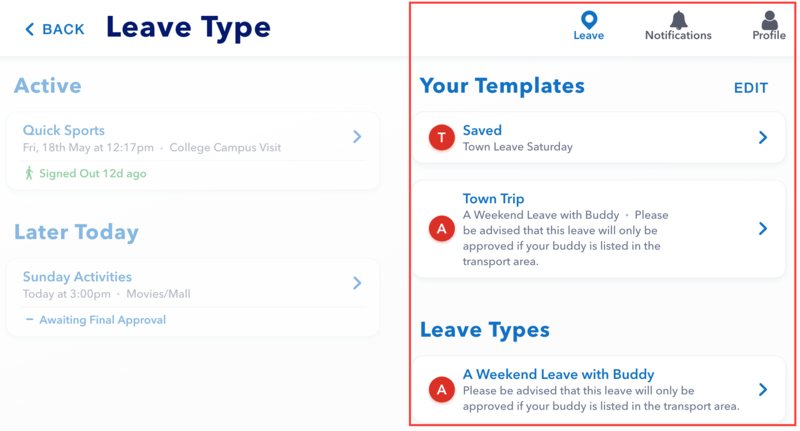 If you chose a new leave type, fill out the required information fields on the form. If you chose a template, the information will autofill for you. 4. 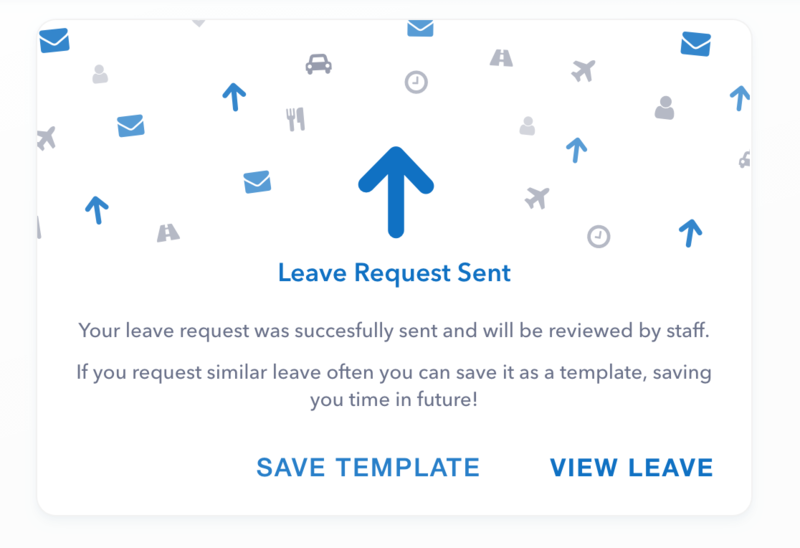 Send the request - save the information as a template for quick use next time. 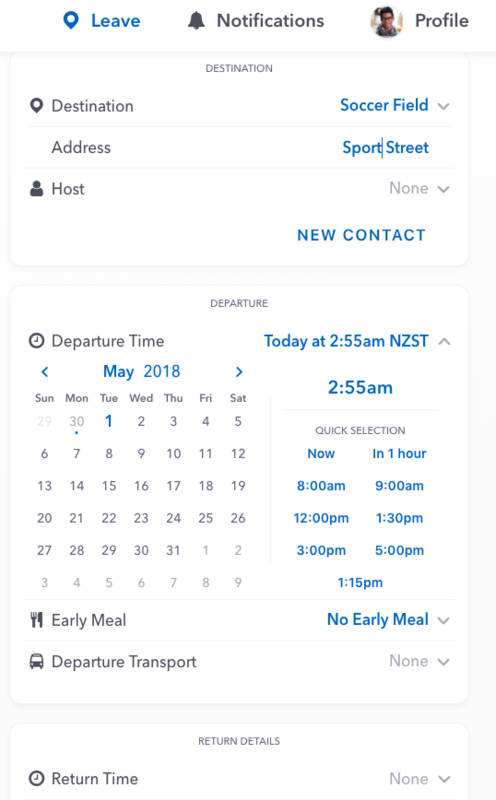 This will now appear on the Leave view. You can also add a new template and edit templates by clicking the edit button to the right of the template heading. 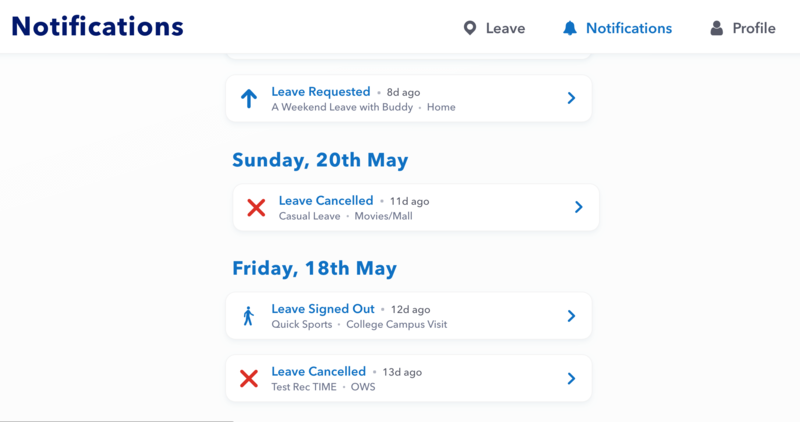 Clicking on a leave will show you the leave details. When you log into your account you will be brought to the notifications page. 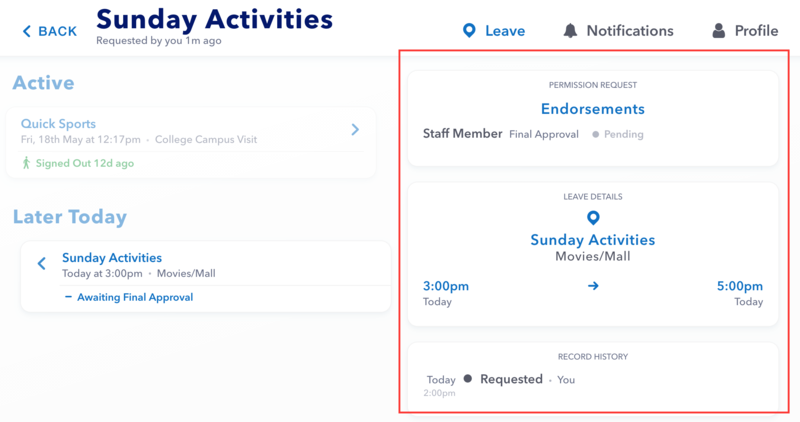 The notifications page will show all leave requests, scheduled leave, sign in / out events, and edited and cancelled leave events. You will also be notified via email regarding your leave request updates. 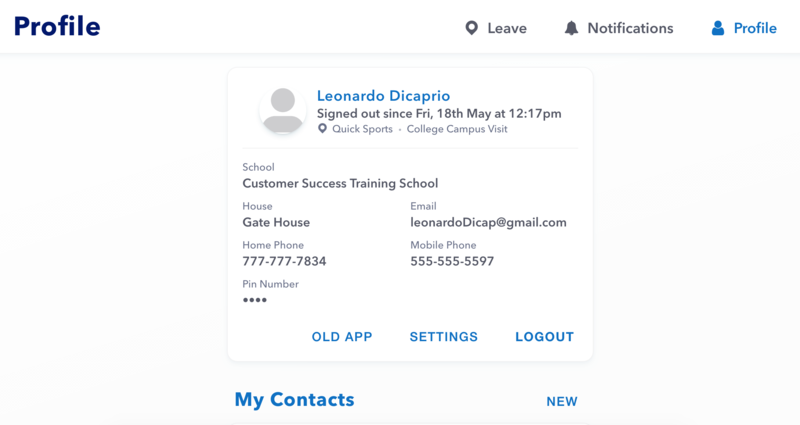 The Student profile will show your contact information and account details. You can also view and edit contact you have added, and view school contacts.